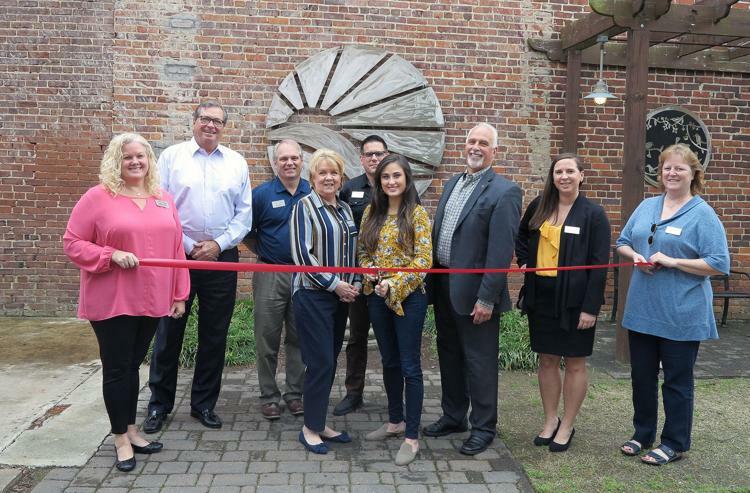 Notch 8 catering company held a ribbon cutting at the Greater Florence Chamber of Commerce office on Tuesday with chamber ambassadors participating. An off-site catering company, Notch 8 does everything from cookouts to caviar, said one of its chefs. Shaina E. Bazen, marketing and sales director for Notch 8, said the business can do everything from a pig pickin’ to an oyster roast and every event from a wedding to a corporate lunch. Notch 8 is a budget-minded catering company with a menu to match, whether it is muffins by the dozen, a full-service dinner with linens and servers or a picnic. “We provide quick, easy and price-efficient menus,” Bazen said. Bazen said the menus are flexible. She said Notch 8 can drop off boxed lunches, come back and clean up later or stay the entire time. “I have really enjoyed the process of creating the menu, watching it start from something very small and blossoming into something amazing,” she said. She said that was also one of the biggest challenges, trying to make a menu that was different and putting a new twist on what was already out there. Another thing she has enjoyed in the start-up process has been designing the boxes the boxed lunches come in. Notch 8 is a railroad term for full throttle and many of the boxed lunches have railroad-themed names such as the All Aboard, High Liner, and Full Throttle. To learn more about Notch 8 Catering, visit notch8catering.com or call 843-507-9919. To view the full article on SC Now, click here.